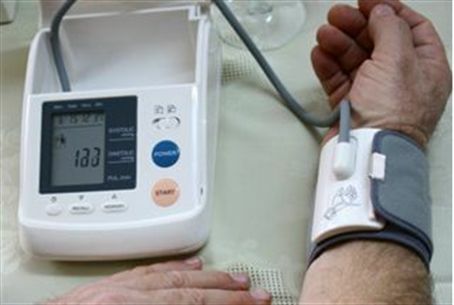 In a major study, Ben Gurion University researchers identify risks of hypertension in young adults. Body mass at age 17 found to be a factor. In a new, large-scale study, Ben-Gurion University researchers have revealed that “normal” blood pressure at age 17 and higher body mass can predict hypertension at early adulthood and that teenage boys are three to four times more likely to develop high blood pressure in early adulthood than girls. In the study, the research team assessed how teenage boys and girls with normal blood pressure might progress into becoming young adults with hypertension. In boys, there is a strong correlation between blood pressure and BMI (Body Mass Index) at age 17. This means that while the blood pressure reading may be in the “normal range,” there is a greater risk for hypertension when BMI is also evaluated. The rate of progression to hypertension is higher in boys whose systolic blood pressure is 110 versus those whose blood pressure is 100. For girls, only the sub-group considered obese had substantially higher risk of high blood pressure. The researchers believe that estrogen may protect against hypertension. Seventeen-year-old boys have higher blood pressure than their female counter parts. Boys are three to four times more likely to develop hypertension as young adults and the higher the blood pressure value, even within the normal range, the higher is the risk for becoming hypertensive adults. During a follow-up period with these adolescents, 14 percent or 3,810 people developed hypertension. The Talpiot Medical Leadership Program, Chaim Sheba Medical Center, Tel-Hashomer Israel and the Israel Defense Forces Medical Corps funded the study.